Sew what's cooking with Joan! 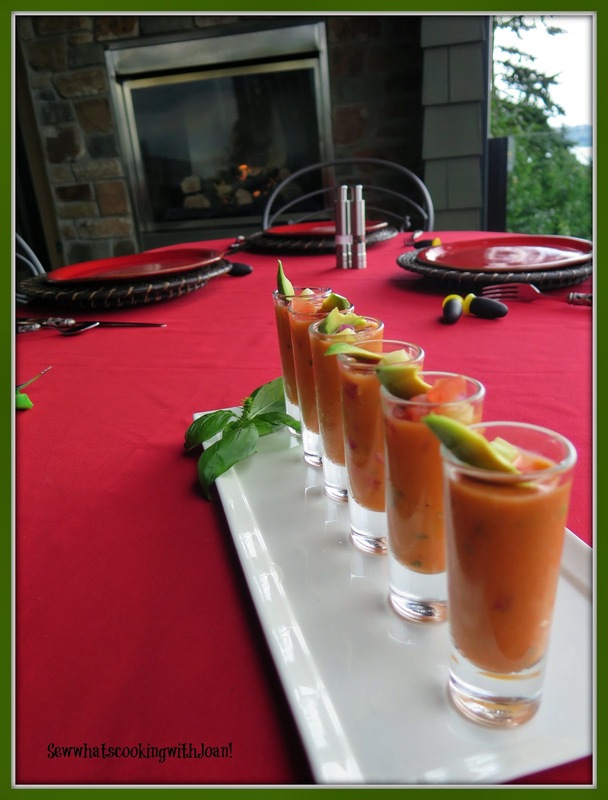 : Gazpacho shots! Figure friendly! I first tasted this soup when my friend Ruth O'Brien served it last Spring as a little shooter. It was "LOVE" at first shot! She forwarded the recipe, and gave me her editing. 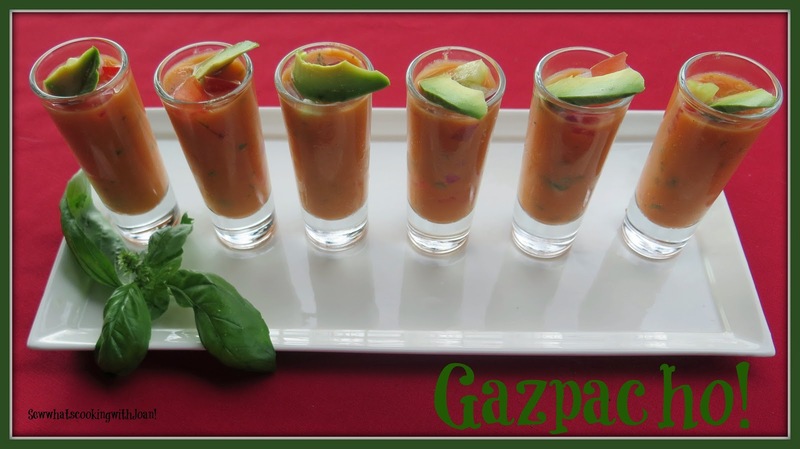 In case you've never personally tried gazpacho, it's what I like to call salsa soup. It has many of the same ingredients as salsa, plus some! And it's so delicious that you'll turn to this as a refreshing lunch or to serve with dinner! No heat for this one!! 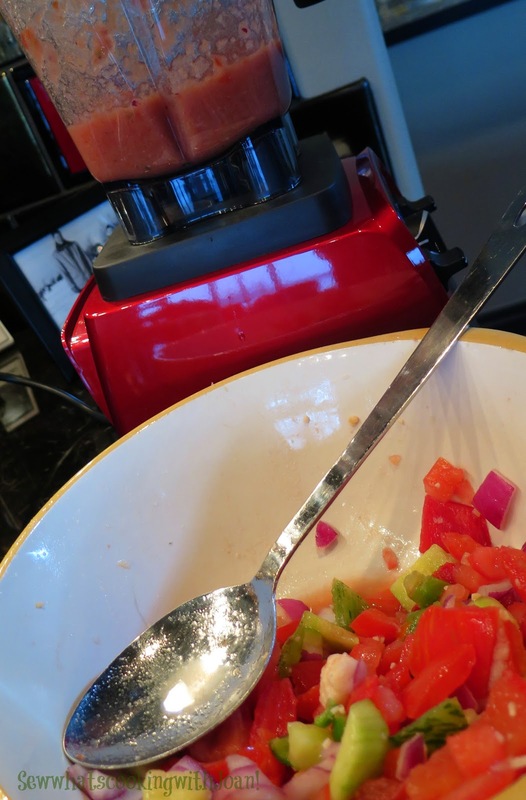 Roughly chop 2 pounds of tomatoes, half of cucumber, half of bell pepper, half of onion and place in large bowl. Add garlic, chile, and 1 1/2 teaspoons salt; toss until well combined. Set aside. 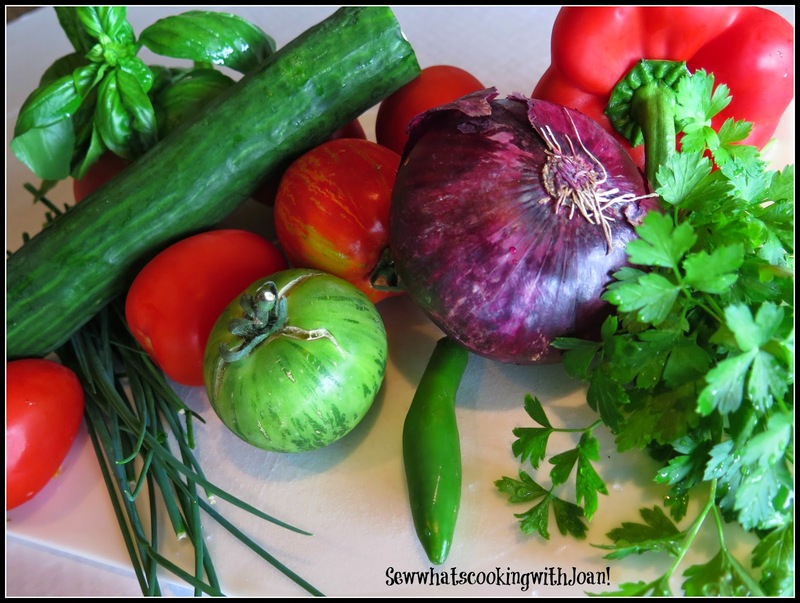 Cut remaining tomatoes, cucumber, and pepper into 1/4 inch dice; place vegetables in a medium bowl. 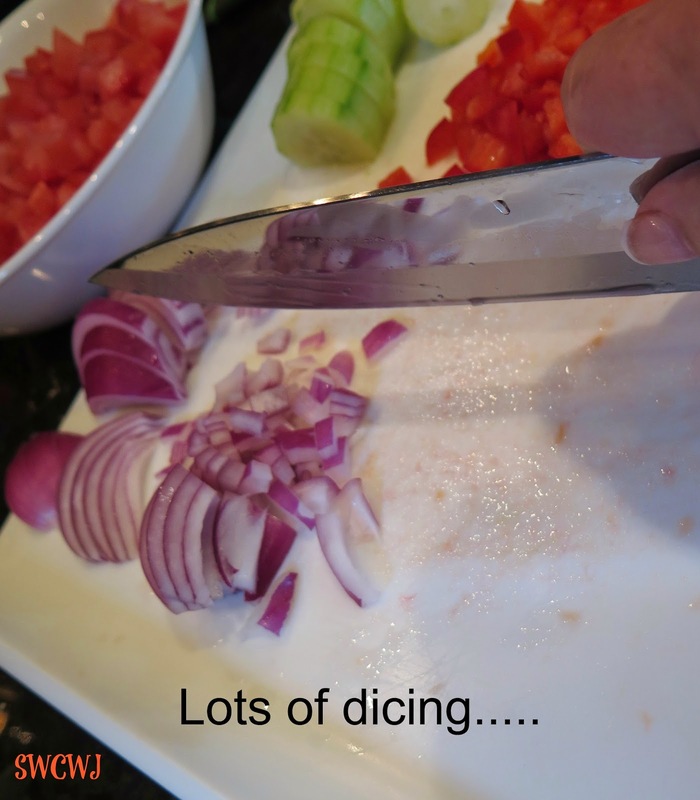 Mince remaining onion and add to diced vegetables. Toss with 1/2 teaspoon salt and transfer to fine mesh strainer set over medium bowl. Set aside for one hour. Transfer drained diced vegetables to medium bowl and set aside. Add bread pieces to exuded liquid(there should be about 1/4 cup) and soak 1 minute. Add soaked bread and any remaining liquid to roughly chopped vegetables and toss thoroughly to combine. Transfer half of vegetable bread mixture to blender and process 30 seconds. With blender running, slowly drizzzle in 1/4 cup olive oil and continue to blend until completely smooth, about 2 minutes. Strain soup through fine mesh strainer into large bowl, using back of ladle or rubber spatula to press soup through strainer. Repeat with remaining vegetable-bread mixture and 1/4 cup olive oil. Stir vinegar, minced herb, and half of diced vegetables into soup and season to taste with salt and freshly ground black pepper. Cover and refrigerate overnight or for at least 2 hours to chill completely and develop the flavors. Serve and pass remaining dice of vegetables or garnish with vegetables and a slice of avocado, a drizzle of olive oil and sherry vinegar. 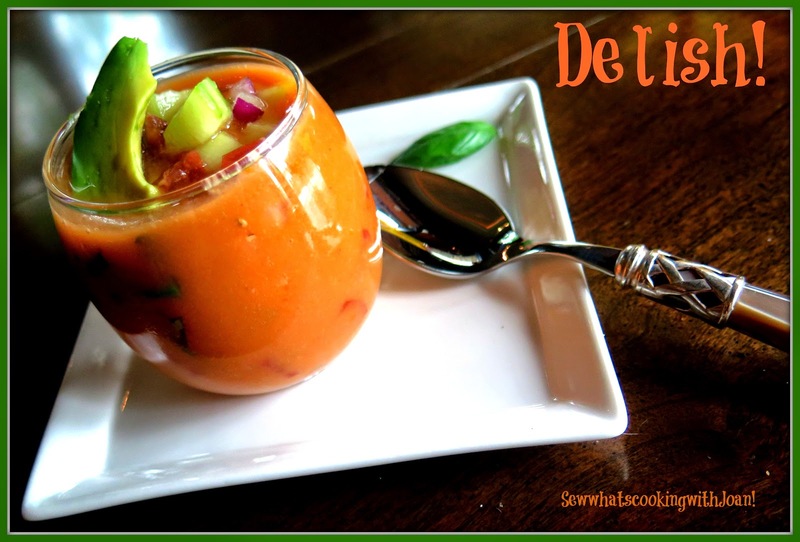 Enjoy these last weeks of Summer with this delicious cold soup! Besides cooking delicious recipes up for family and friends, my daughter, Holly and I, organize and execute hike weeks and a weekly hike. These pictures are taken on a hike here in Washington, Ira Spring Trail. It is 6.5 miles with 2420 elevation gain in 3.25 miles. Some of the most beautiful views can be seen the entire trip up! Breath taking! Pictured in this collage is My niece Allie, her son Ryder, my daughter Holly and my grand daughter Madison Lee and me! 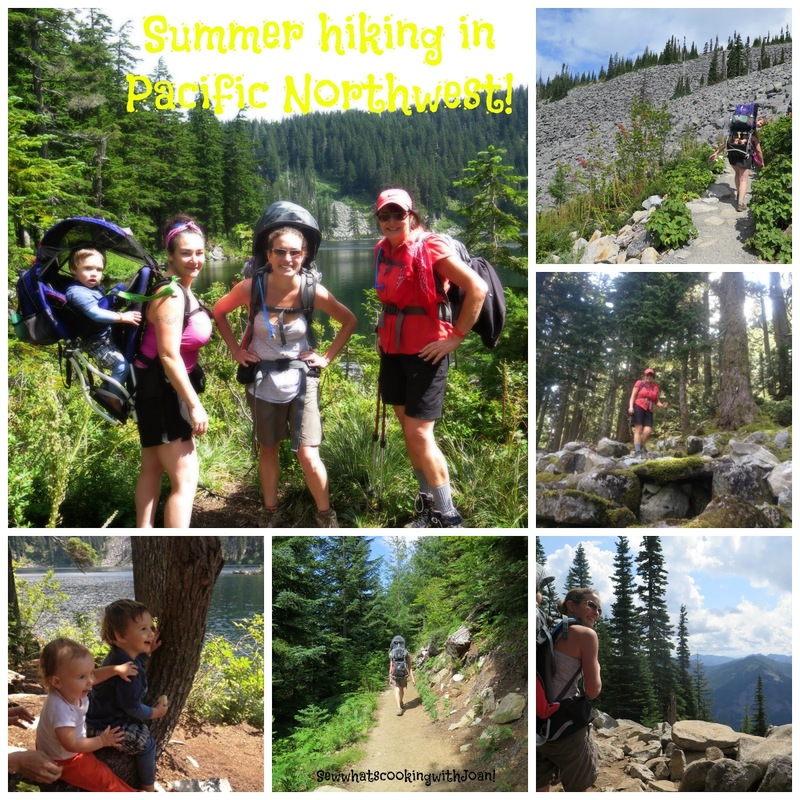 Yes, these rock star Mom's hike with their little bundles of joy in their back pack! Not many pass by us without giving these Mom's lot's of praise. They are "Rock Stars"!! 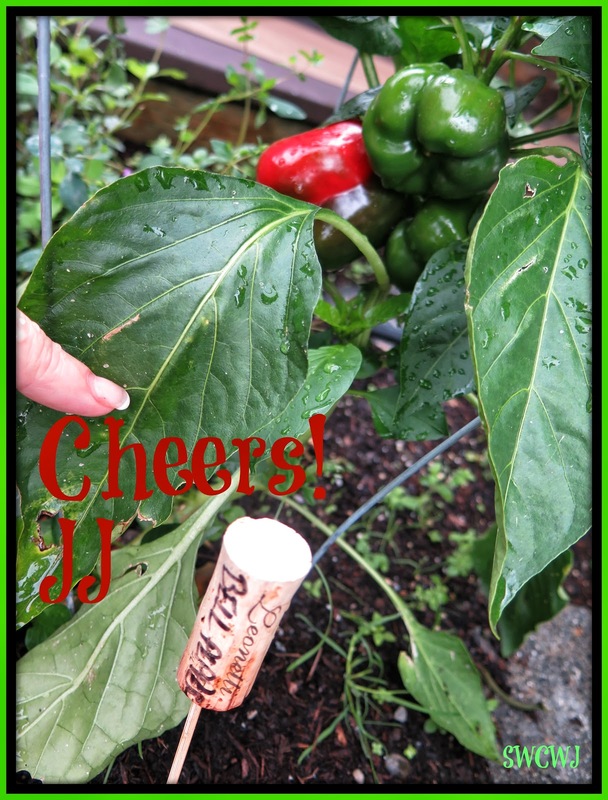 Your peppers look amazing!! 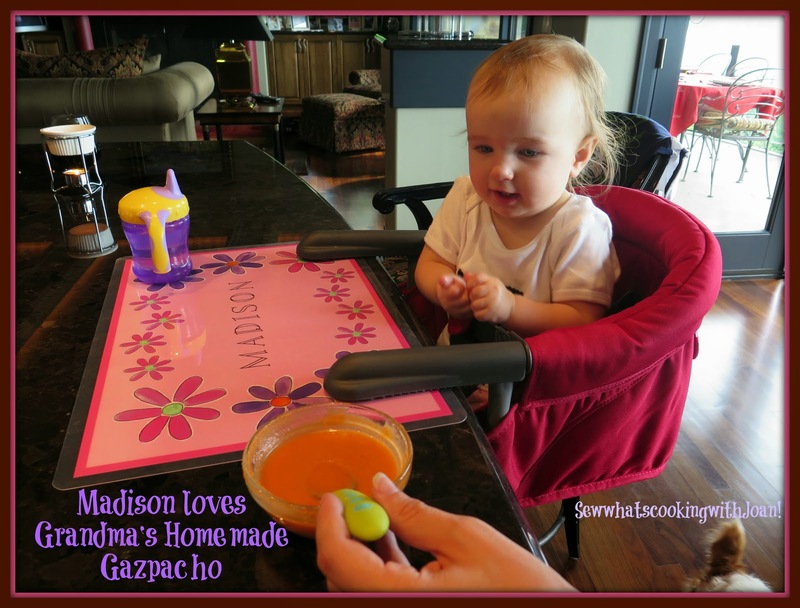 I love gazpacho too! Thanks! JKL PS great hiking pics!